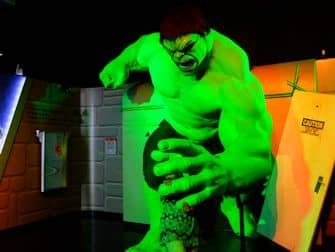 Madame Tussauds in New York has something to offer everybody with its wax figures of Hollywood stars, political leaders and cartoon characters from Spiderman to Hulk! But Madame Tussauds is much more than just wax figures. It is definitely a fun indoor activity in New York with or without children. Maria Tussauds, a Frenchwoman, born in Strasbourg, made her first wax figure in 1778. It was of a famous writer and philosopher François-Marie Arouet Voltaire. In 1802 she left France for England to exhibit her wax figures there. After her death her sons inherited the exhibition and it was moved to its current location of Madame Tussauds in London in 1884. Since then already 18 Madame Tussauds have been opened across the world in different capitals. 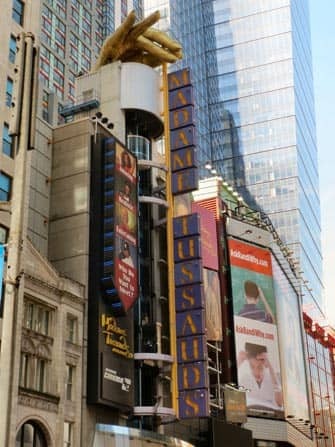 Madame Tussauds was opened in New York in 2000. There are many reasons behind the success of Madame Tussauds but curiosity is what draws most people in. 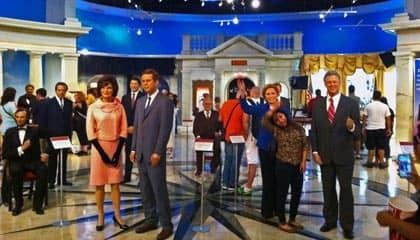 The wax figures allow the visitors to take an extraordinary journey through history of fame and power. Visitors can re-live important times and moments that have shaped the world to what it is today. What can you expect from Madame Tussauds? Madame Tussauds’ wax figure collection is impressive but the museum also offers a lot of interactive activities. I have made a selection of what to see and to do in the museum here below. 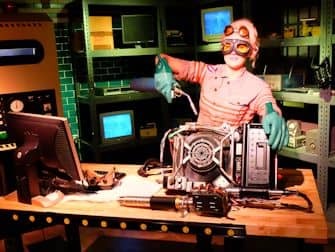 Ghostbusters is brought to life in the Ghostbusters Experience in Madame Tussauds. You’ll move through multiple movie scenes that are inspired by the film and you take part in a ghost hunt, to save New York from a villain who is threatening the city. The experience is coming to life through new technologies, props, costumes and gadgets. The Cinema 4D experience is a short film with special effects such as water and wind. The film makes you feel like you are fighting in the movie instead of just being the spectator. You get to stand next to your superhero’s for a moment. The Music Experience includes a lot of interactive elements such as an electric guitar and a high-tech light show that recognizes your dance moves and projects them on a video screen. A fun activity for kids and for the adults who dare to try it! The Newsroom is an authentic and functioning TV-studio where you can step into the shoes of your favourite news journalist. Experience firsthand what it is like to be in a studio and what happens behind the scenes. 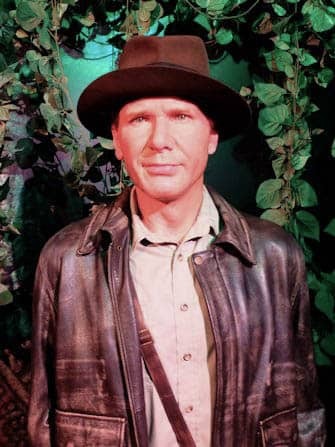 History Gallery is a very special exhibition of wax figures. In this gallery you will find all the great leaders and thinkers of the world such as Einstein and George Washington. It is impressive to be confronted with so much history. Furthermore the museum offers even more wax figures in beautiful settings such as Sports Zone and Bollywood Zone. 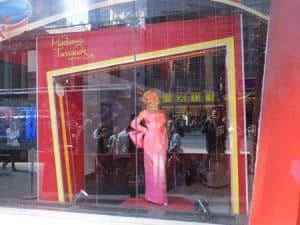 Visit Madame Tussauds in New York and have a look yourself! The New York Pass also includes entrance to Madame Tussauds.